Robust Enigma: Making Tiny Friends... Then Killing Them. 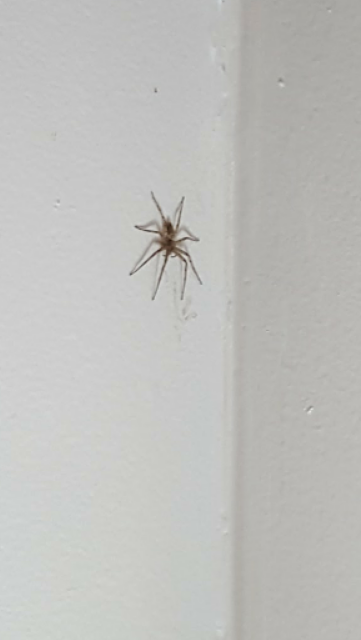 One evening, while returning home, my dearest wife Brittney spotted a spider upon our wall. I was coming inside behind her, looking around. I glanced right passed it a few times before before my eyes said "The spider, it's found!" The little thing was the size of a nickel, so lovely and sweet, if you're into arachnids that is. Either way, it's gone now. Violence ensued, as the objects required for a catch and release were beyond our grasp. So squish went it's body until I felt it's final "pop" at last.